Another young Texas axeman from the old school, Smokin' Joe Kubek issued his band's debut disc in 1991 on Bullseye Blues, Steppin' Out Texas Style. Kubek was already playing his smokin' guitar on the Lone State chitlin circuit at age 14, supporting such musicians as Freddie King. Soon, he formed his own band and began playing a number of bars across Dallas. In the '80s, he met guitarist/vocalist Bnois King, a native of Monroe, LA, and the duo formed the first edition of The Smokin' Joe Kubek Band. The Smokin' Joe Kubek Band began playing the rest of the Southwest in the late '80s. 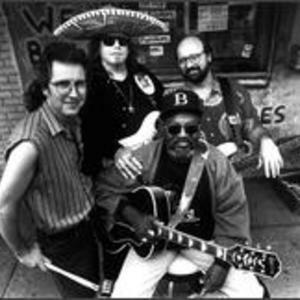 In 1991, they signed to Bullseye Blues, releasing their debut, Steppin' Out Texas Style, the same year. Following its release, the band launched their first national tour. For the rest of the '90s, the Smokin' Joe Kubek Band toured the United States and toured frequently and issued records like 1993's Texas Cadillac, 1996's Got My Mind Back, and 2000's Bite Me. In 2003 Kubek and guitarist/vocalist Bnois King released Roadhouse Research on the Blind Pig label. The duo's second release for Blind Pig, Show Me the Money, came out in 2004. A single-disc collection of some of the best tracks from the Bullseye Blues years, Served Up Texas Style, came out in 2005. A third album from Blind Pig Records, My Heart's in Texas, was released in 2006.